The library is on two floors but there is no lift. The ground floor is accessible by wheelchair and a hearing loop system is installed. Please see: Library services for people with disabilities, for further information. 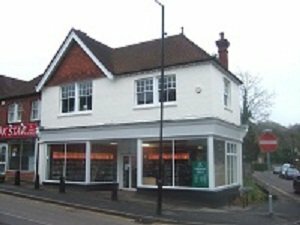 Haslemere library is at the bottom of the hill between Tesco and St Christopher's Green car park. There is free parking for two hours at Tesco's car park and free parking at St Christopher's Green.